For the past few months I’ve been tinkering with my brand -- even going as far as to mock up a few new logos. I’m re-launching this here blog and wanted a fresh look to go with it. About a week ago, however, it dawned on me that I like my logo and some of the basics of my brand. What I didn’t love was the “quiet” feel it had. I needed something bolder with a real pop to it. This realization allowed me to set about refreshing my brand instead of overhauling it...saving me lots of time and effort. 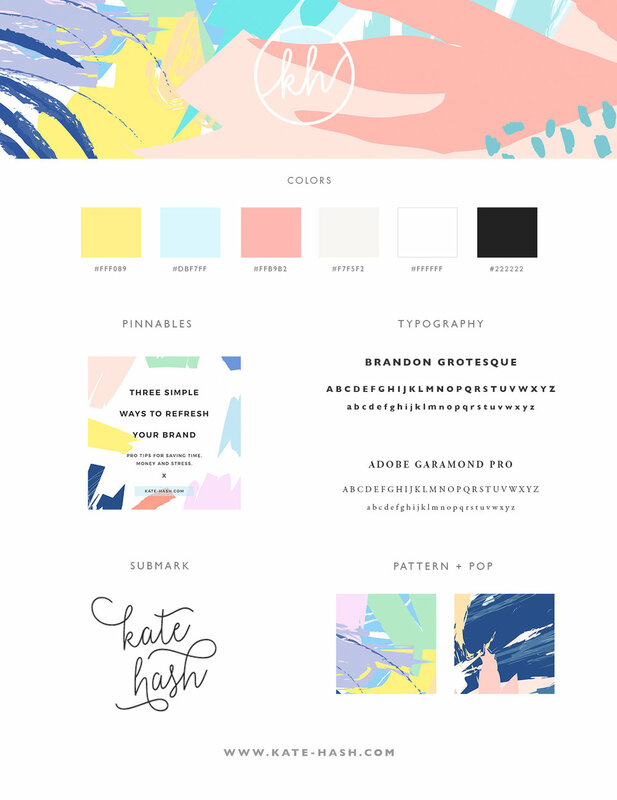 Lots of searching on Creative Market led me to Lera Efremova’s gorgeous shop. I found a package of patterns that I adore and it was game on from there. I used the selected pattern as the basis for my color palette and then selected fonts I thought would balance well with this bold new brand. The last step was to reverse out my logo (which used to be black) so that it would present better on the new bold colors. Consider refreshing your brand instead of totally rebranding. My tips are here!